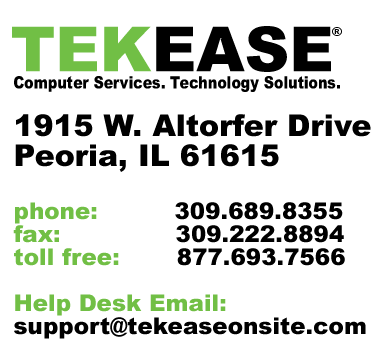 TEKEASE provides on-site computer, network, telephone system, and videoconferencing system maintenance for small to medium-sized businesses. Whether you need computer help, network repair or small business telephone programming or system repairs, TEKEASE is the best choice among computer repair on-site companies. Organizations that have a large installed base of older equipment or environments that have ongoing printer, server and computer repair needs. Departments that want one single point of contact for all network and computer repair needs. Organizations that have a mix of in-warranty and out-of-warranty equipment. Offices that have changing equipment needs, with the addition and deletion of equipment throughout the year. Organizations that have multiple locations or geographically dispersed locations without IT support. 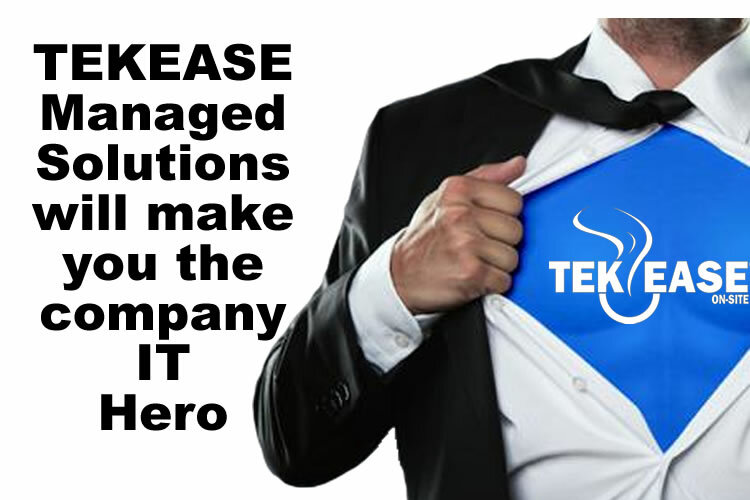 TEKEASE offers Unlimited On-site and Online Remote Support Solutions. Unlimited Online Support Plans may be combined with Pay-As-You-Go On-site Services or select a combined unlimited plan for maximum support. We offer per incident support as well as annual contracts and multi-year warranties regardless of where you purchase your equipment. Plans are for Operating System support and Microsoft Applications only. Hardware replacement is sold on a time and materials basis in conjunction with your plan. Contact us today to learn more about the advantages offered through our remote and on-site network services.